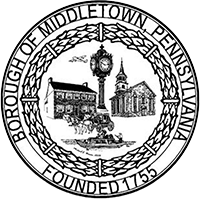 The Borough of Middletown, (“Middletown”), is a municipal borough in the Commonwealth of Pennsylvania, and therefore is a local agency for purposes of the Pennsylvania Right-to-Know Law. All local agencies shall provide public records in accordance with the Right-to-Know Law. Any record in the possession of Middletown shall be presumed to be a public record, except in the following circumstances: (a) The record is exempt under the Right-to-Know Law; (b) The record is protected by the attorney-work product doctrine, the attorney-client privilege, or other privilege recognized by a court interpreting the laws of the Commonwealth of Pennsylvania; (c) The record is exempt from disclosure under any other federal or state law or regulation, or judicial order or decree; or (d) The record is exempt or protected for any other statutory reason or based on judicial ruling. Records are broadly defined under the Right-to-Know Law. Records include a document maintained by an agency in any form. Requests for public records can be made by any person who is a legal resident of the United States, including a resident alien. Requests to Middletown can also be made by other local agencies, Commonwealth agencies, judicial agencies, or legislative agencies. Requesters may make oral requests for access to records. However, if the requester wishes to pursue the relief and remedies provided for in the Right-to-Know Law, the request for access to records must be in writing. Middletown has designated Kenneth L. Klinepeter and Grace Miller, to act as the Open-Records Officers and Pearl Sweger as the Open-Records Officer for the Police Department (“Officer”). The Officer’s contact information is set forth below: Right to Know Officer, Middletown Borough, 60 West Emaus Street, Middletown, PA 17057, (717) 902-0706. Requests may also be directed to the Officer by e-mail at right-to-know@middletownborough.com. All written requests must be addressed to the Officer. In the event that written requests for records are addressed to Middletown staff or officials other than the Officer, the recipient of such request(s) is hereby directed to promptly forward such request(s) to the Officer. Written requests should identify or describe the record sought with sufficient specificity to enable Middletown and the Officer to ascertain which records are being requested. Unless otherwise required by law, a written request need not include any explanation of the requester’s reason for requesting the records or the intended use of such records. An online form or a PDF Printable PDF form which may be used to file a request is posted on Middletown’s internet website at middletownborough.com. Middletown shall assign a tracking number to each filed form so as to track Middletown’s progress in responding to requests under the Right-to-Know Law. Upon receipt of a written request for access to a record, Middletown shall make a good faith effort to determine if the record requested exists and is a public record and whether Middletown has possession, custody or control of the record. Middletown will respond as promptly as possible under the circumstances existing at the time of the request. Under the Right-to-Know Law, Middletown must send a response within five (5) business days of receipt of the written request for access, or else the written request shall be deemed denied. For purposes of this policy, a business day is any weekday, except those days when Middletown’s office is closed due to a holiday, namely: New Year’s Day, Martin Luther King Day, Presidents Day, Memorial Day, July 4th, Labor Day, Thanksgiving Day, Christmas Day and two floating holidays designated annually. Upon receipt of a written request for a record, the Officer shall determine if one of the following applies: (a) The request for access requires redaction of a record in accordance with the Right-to-Know Law; (b) The request for access requires the retrieval of a record stored in a remote location; (c) A timely response to the request cannot be accomplished due to a bonafide and specified staffing limitation; (d) Legal review is necessary to determine whether the record is a record subject to access under the Right-to-Know Law; (e) The requester refuses to pay applicable fees authorized by the Right-to-Know Law and this policy; or (f) The extent or nature of the request precludes a response within the required five (5) business day time period. Upon a determination that one of the circumstances listed above applies, the Officer shall send written notice to the requester within five (5) business days of receipt of the request including a statement notifying the requester that the request is being reviewed, the reason for the review, a reasonable date that a response is expected to be provided, and an estimate of applicable fees owed when the record becomes available. Information which Middletown redacts in accordance with the Right-to-Know Law shall be deemed a denial for that information. If the date that a response is expected to be provided is in excess of thirty (30) days, following the five (5) business days allowed for response, the request for access shall be deemed denied unless the requester agrees in writing to an extension to the date specified in the notice. If the requester agrees to the extension, the request shall be deemed denied on the day following the date specified in the notice if Middletown has not provided a response by that date. For purposes of this policy, the “mailing date” shall be the date affixed to a: (1) response to a request from the Officer, which is the date the response is deposited in the U.S. mail; (2) final determination from the Officer, which is the date the final determination is deposited in the U.S. mail. The Borough may charge the requester fees for copying, postage and other services as allowed in the Right-to-Know Law. The Right-to-Know Officer is authorized to waive those fees at his sole discretion. Any waivers of fees will be determined on a case-by-case basis and expressly do not constitute precedent of practice or the establishment of policy. If a written request for access to a record is denied or deemed denied, the requester may file an appeal with the Commonwealth Office of Open Records within fifteen (15) business days of the mailing date of Middletown’s response or within fifteen (15) business days of a deemed denial. The appeal shall state the grounds upon which the requester asserts that the record is a public record, and shall address any grounds stated by Middletown for delaying or denying the request. The Office of Open Records has established an internet website with information relating to the Right-to-Know Law, including information on fees, advisory opinions and decisions, and the name and address of all open-records officers in the Commonwealth of Pennsylvania. For information on the Office of Open Records, please go to openrecords.state.pa.us. The Office of Open Records is located at Commonwealth Keystone Building, 400 North Street, Plaza Level, Harrisburg, PA 17120-0225. By adoption of this Right-to-Know Policy, Middletown publicly declares its intention to follow the Municipal Records Act, 53 Pa. C.S.A. § 1381 et seq., with respect to the retention and disposition of public records. Nothing in the Right-to-Know Law or this policy shall be construed to modify, rescind or supersede the records retention and disposition policy. Nothing in the Right-to-Know Law or this policy shall be construed to require access to any computer, or that of any employee or official of Middletown. This policy shall not be construed to provide any access or rights beyond those contained in the Right-to-Know Law.